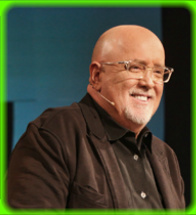 James MacDonald has been making the radio rounds this week as he speaks to the Elephant Room 2 controversy surrounding T.D. Jakes. On Monday, he was a featured guest on Chris Fabry Live, an afternoon talk show that can be heard on Moody radio stations across the country. Audio of that show is available here. Tuesday morning, MacDonald appeared on Moody’s local Chicago morning show, The Morning Ride, to speak briefly with host Mark Elfstrand. The full audio of that interview can be heard here. As is to be expected, the topic of T.D. Jakes largely dominated these discussions. Between these two interviews, there is a lot that could be addressed, and so the intent of this post is not to embark on a minute-by-minute critique, but to simply alert the reader to a few rather interesting comments made during these two conversations. Please note that quotations made herein of these radio interviews may not be verbatim. The reader is encouraged, then, to listen to the interviews for him or herself. Tuesday morning’s discussion was quick and to the point. Not too many minutes in, we can hear MacDonald unquestioningly state, “I don’t believe he’s [Jakes] a modalist.” This conclusion, according to MacDonald, is based upon Jakes’ answers to Driscoll’s questions in the Elephant Room 2. MacDonald says, “[Jakes] didn’t get an A+ on the exam, but he didn’t get a B either.” Let’s look again at part of the ER2 conversation between Driscoll and Jakes. Driscoll: We all would agree that in the nature of God there is mystery, and it’s like a dimmer switch: how much certainty, how much mystery. But within that, Bishop Jakes, for you the issue between Trinitarianism and Modalism at its essence is is one God manifesting Himself successively in three ways? Or one God three persons simultaneously existing eternally – so, your best What is your understanding now? And I understand, there is some mystery – for sure. Would you say its One God manifesting Himself in three ways, or One God in three persons? Jakes: I believe that neither one of them totally did it for me, but the latter one is where I stand today. Driscoll: One God Three Persons? It seems that James MacDonald still has not realized that he may very well have been duped by Jakes, who is a careful and skilled communicator. Yes, he affirmed “3 persons,” but still prefers to use the language of the modalists. Jakes’ use of 1 Timothy 3:16 especially ought to cause us to wonder if he has truly abandoned his Oneness roots, as this is a common “go to” verse for the Modalist argument. If you haven’t already taken the time to listen to this discussion between James White and Voddie Baucham on this particular topic, I suggest you do so. It will shed a great deal of light on what precisely T.D. Jakes was saying in his response. In his appearance on Chris Fabry Live, MacDonald expanded a bit on his acceptance of Jakes – or of anyone – who doesn’t hold to the precise doctrine to which MacDonald himself may adhere. He declared that the Trinity is a “non-negotiable,” and that it is “central” and a “key pillar” of Christianity. Yet, he continued, he does not feel it “necessary to hold people to a creedal preciseness about their Trinitarianism to see that person as a Christian.” MacDonald stated something similar to this in the past, so it is clear that his position has not changed. Yet, the Trinitarian nature of God is just that – an undeniable fact of His nature, and while none of us will fully grasp this side of Heaven how the Trinity exists as the Bible says it does, the bottom line is that the Bible is still quite clear on the subject. This isn’t about “creedal preciseness” (though, creeds such as the Athanasian Creedwere developed based on biblical truth), it is about accepting – or rejecting – what God has revealed in His Word. Nevertheless, for James MacDonald, it all comes down in the end to his continued claim that ER2 “isn’t about the issues.” Instead, according to MacDonald in both of these interviews on Moody radio, the whole purpose was to “model how to talk to people we disagree with.” Hm…really? Then why does it seem that there is actually very little disagreement between the various participants of the Elephant Room? Toward the end of his Tuesday morning interview, MacDonald stated that “most of the critique is coming from people who weren’t there, at any of the 70 locations…” Well, Pastor MacDonald, in case you have forgotten, some of us did want to be there. But I digress. So, whether James MacDonald likes it or not, it appears as though it was his camp that unnecessarily dragged the “race card” into this situation. Nevertheless, if James MacDonald doesn’t want race to be the issue, and none of the critics of ER2 ever felt that race was the issue, then let us move on. Not long after this subject was addressed between Fabry and MacDonald, Fabry brought up the oft-neglected (by MacDonald, anyway) elephant of T.D. Jakes’ prosperity gospel. In this part of the discussion, James MacDonald indicated that a private conversation had taken place (among whom, we do not know, though it is obvious that it was at least allegedly between MacDonald and Jakes). During this conversation, says MacDonald, T.D. Jakes expressed that he would “not currently accept the designation of prosperity or Word of Faith as an accurate description of what he believes. […] As of two weeks ago [Jakes] would not accept these terms in a private conversation as an accurate description of what he believes.” MacDonald continued and stated that Jakes’ “ministry will have to bear that out.” Indeed it will. After all, the prosperity preaching gig is quite lucrative and it is undoubtedly not abandoned lightly. And it is most certainly not forsaken without repentance. But then, when T.D. Jakes states that he would not describe himself as a prosperity preacher, is that to be viewed as an acknowledgement that he was at one time, but now has turned from such lies? Or is it merely someone rejecting a less-than-desirable title for himself? If T.D. Jakes truly desires to no longer preach an aberrant prosperity gospel, then may we assume that he will soon be denouncing and apologizing for the teachings contained in footage such as this? And if Jakes has turned from his Word-Faith leanings, then it is curious that, just a week prior to the Elephant Room, he delivered a more-than-mildly Word-Faith-esque sermon at Code Orange Revival. If the reader is unfamiliar with this, I suggest visiting this careful critique of Jakes’ COR sermon, written by Daniel Neades at the Better Than Sacrifice blog. Yet, James MacDonald claims that he “learned a ton” from this sermon delivered by Jakes. Perhaps this explains why MacDonald could be content with Jakes simply “not accepting” the designation of being a Word of Faith or prosperity preacher. For those who have long respected and looked to James MacDonald for biblical teaching, it would be helpful to know just how strong his confrontation, or conversation, with Jakes was regarding Jakes’ Word of Faith heresy. To simply be content with someone rejecting a title is a rather unfortunately weak position, especially when the evidence of that designation is 20+ years strong. If indeed Jakes has turned from his Word of Faith heresy, it would be edifying to the Church to see a public repentance and renunciation of it, considering that Jakes’ ministry has been so public – and so detrimental – for so many years. James MacDonald did make one comment in his Tuesday morning interview with which some might agree. He stated, “a lot of this [the critique] is rooted in fear.” Agreed, but not with the same motivation and meaning behind the statement as MacDonald would claim. Yes, Pastor MacDonald, perhaps fear is a motivator of some of the critiques: fear that the Word of God is no longer being held with the same power and authority within the visible church; fear that the cardinal doctrines of the Christian faith are being swept under the rug in favor of joining hands and espousing “love and unity;” fear that some of American Christianity’s most influential leaders have chosen the path of compromise. Fear that perhaps we have begun to place our fear of men over and above our fear of God. May We Now Regard T.D. Jakes As Trinitarian and Orthodox?